We Choose Monitronics When Monitoring Your Home or Business! At Great Western Security, we are committed to providing our customers in Kent, WA with the most dependable security systems. That is why we choose Monitronics for alarm monitoring in Kent homes and businesses. All our security systems use Monitronics monitoring to give Kent residents top-notch security that blends the latest technology with rich experience and exceptional service. 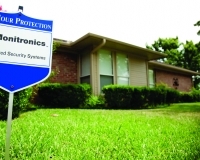 Monitronics is one of the largest and most reputable security companies in the country. You depend on our security alarm systems for the safety of your property, loved ones and valuable belongings. We honor your trust by choosing Monitronics for monitoring your Kent home or business. Without the support of efficient alarm monitoring, the security alarm in your Kent property is just a noisy device. An emergency may happen when nobody is present in your home or commercial building. What use would be your alarm system if it is not backed by professional security monitoring service like that of Monitronics? Our Monitronics alarm monitoring for your Kent property is also a big advantage in crisis situations, where you might be present on the premises but unable to call for help. With premium alarm monitoring from Monitronics, Kent residents can breathe easy, knowing that emergencies on their property will be responded to immediately. Why Choose Great Western Security For Your Security Monitoring Needs? All property owners want the best-in-class security monitoring for their Kent home or business. They get that when we install their security alarm systems. Choosing us means getting your security monitoring needs in Kent met with the award-winning service offered by Monitronics. To know more about Monitronics alarm monitoring for your Kent home or business, call Great Western Security at 1-888-227-1304.